Research published in this book has been assisted by the Kapralova Society. "Lexington Books takes great pride in its unwavering commitment to publishing specialized research essential to advancing scholarship at a time when many academic publishers have abandoned this part of their programs. We continue to publish high-quality monographs and edited collections by established and emerging scholars, works that may not have a wide audience but make a significant contribution to scholarship in the humanities and social sciences." From the publisher's website. Available from: Rowman & Littlefield Publishers, Chapters Indigo, amazon.com, amazon.ca, amazon.co.uk, Barnes & Noble, and other outlets. This book was shortlisted for the prestigeous F.X. Salda Award 2011. The prize (awarded by a foundation associated with Charles University in Prague) is to highlight outstanding contributions to art history and criticism. See this press release (in Czech). 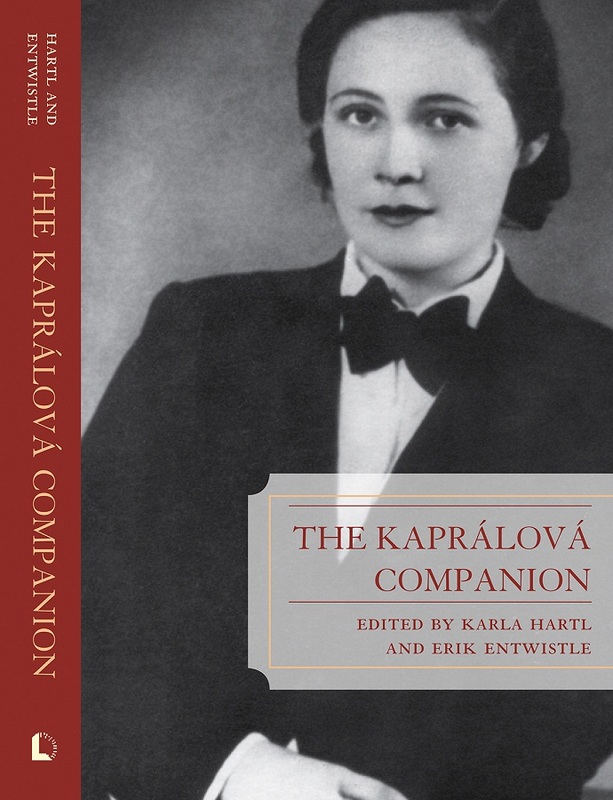 The first and only major study of Kapralova in English. One cannot understand Martinu's relationship without knowing Kapralova first. Karla Hartl provides the foundation of the work, supplying a biography, annotated chronology, complete catalog of works, a comprehensive bibliography, and discograghy. Supporting essays by Jindriska Bartova, Erik Entwistle, Timothy Cheek, and Judith Mabary offer excellent in-depth studies of her works. An expansive index can help the reader navigate mentions of Martinu, but the entire book is relevant to the study of both composers.--Robert Simon. Bohuslav Martinu: A Research and Information Guide. NY: Routledge, 2014, p. 221. Published by Lexington Books (an imprint of Rowman & Littlefield) in 2011. xi, 228 pp. ISBN 978-0-7391-6723-6 (cloth) - ISBN 978-0-7391-6724-3 (electronic).